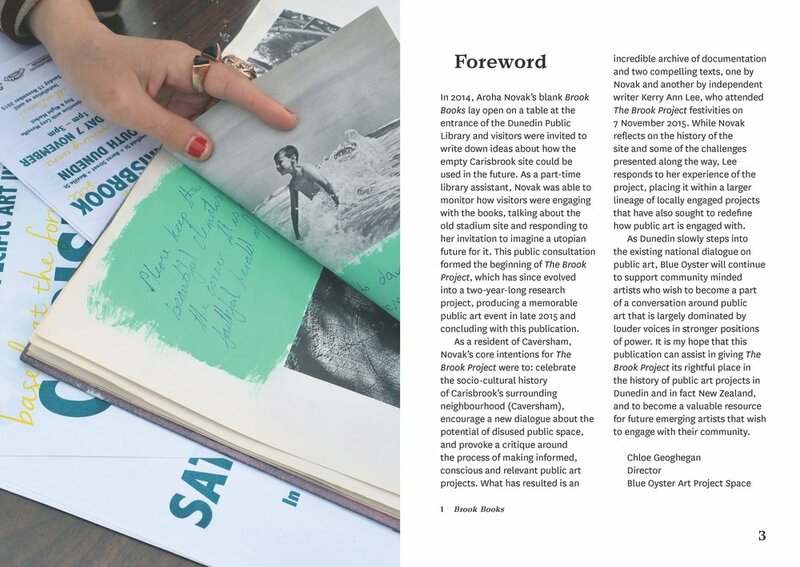 The Brook Project celebrates the socio-cultural history of Carisbrook and its surrounding neighbourhood and encourages new dialogues about the potential of disused public space and the process of making informed, conscious and relevant public art projects. Publication includes new writing from Kerry Ann Lee and Aroha Novak along, an interview with Caversham local Gregor B Campbell and poem by Leonel Alvarado. Image courtesy of Aroha Novak and Blue Oyster.